Unlike an entry-level resume, a professional resume should start with a profile and a clear career goal. Starting with a target career goal gives the resume direction and clarity. The reader immediately knows what positions you are targeting based on the title listed at the top of your resume. The rest of the resume then becomes further proof of your skills and capabilities rather than a hunt to figure out what your intentions are. With resumes only getting about a 30 second initial review (and sometimes LESS!! ), establishing a clear direction right from the beginning is essential. Following your career goal or title, you should include a brief summary paragraph that is compelling. Include your overall expertise, a few of your most notable accomplishments, and particular character qualities that compliment your career. Although you may be inclined to stretch out this paragraph in order to include as much as you can, the longer the paragraph, the less likely it will be read. Make sure to keep it brief, usually about 4-6 sentences, so that hiring managers will be drawn into the rest of the resume instead of overwhelmed with information right from the start. Do NOT list every career goal or position that you could qualify for. This will only work against you and defeats the purpose of bringing clarity to the resume. If there are several positions, use something more encompassing such as “Accounting Professional” as discussed earlier. Do NOT include your personal history, non-professional characteristics, or other information that is not specific to your targeted career. It’s nice that you volunteer or that you like to golf, but these things are not appropriate in a resume, especially in the profile section (unless, of course, they are directly connected to the position you are targeting). Do NOT just list your qualifications here. 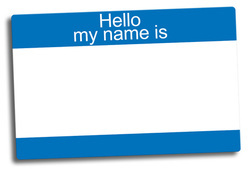 Use descriptive language as if you were introducing yourself. This is where the reader will get the best idea of who you are professionally.